Crafton Tull, a full-service architecture, engineering and surveying firm based in Rogers, has seen its share of change since founders Bob Crafton and Lemuel “Lem” Tull opened the business in 1963. It has grown from a small, regional firm into a national one, with a little more than 200 employees spread out across seven offices in Arkansas (5) and Oklahoma (2). That includes its newest location on East Zion Road in Fayetteville, which opened in early December and is staffed with 10 employees. Since 1970, though, there has been one constant – Tom Hopper. 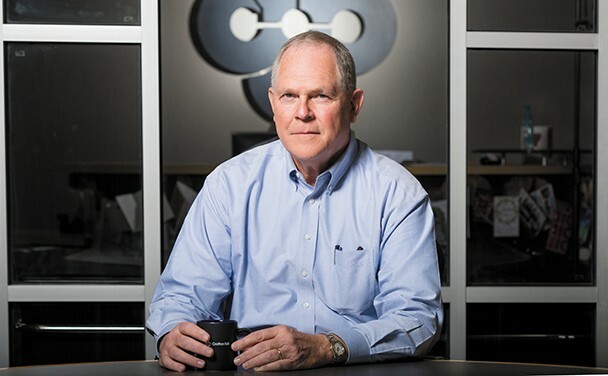 He was hired in February that year as a graduate engineer and by 1977 had become an owner of the company, along with Crafton, Tull and Gene Reece. Hopper has held a key leadership role seemingly ever since. He’s spent several years as either president, CEO or both and has been chairman of the Crafton Tull board of directors since 2000 following the retirement of Bob Crafton. A few weeks ago, though, Hopper, 69, determined he was ready for an easier schedule. With little fanfare, he sent an internal email Nov. 8 to all Crafton Tull employees to let them know of his intention to retire as chairman on Nov. 30. He spent most of the month of December tying up a few loose ends, transitioning away from the only company he’s ever worked for. Crafton Tull has two events scheduled in February related to Hopper’s departure. One to choose his successor, the other to honor him. The company has 32 stockholders who meet once a year to elect a nine-member board, all of them Crafton Tull employees. They’ll do that next month, and the board will decide who the next chairman will be. And although Hopper – a measured and understated leader – would say his exit is not a big ordeal, others feel differently and have convinced him the milestone should be commemorated. Crafton Tull has organized a retirement dinner at the Embassy Suites hotel on Feb. 18 to do just that. Hopper said he knew what he wanted to do with his life by watching his father. The late Eugene Hopper was a World War II veteran who returned home from India and started a career working as a resident engineer for the U.S. Army Corps of Engineers. “I have always enjoyed seeing things be built,” he said. After graduating from high school in 1966, Tommy Hopper headed for the University of Arkansas in Fayetteville. Standing 6 feet 6 inches tall, he was an all-district football player for McGehee High School in southeast Arkansas, and was recruited by Frank Broyles to play for the Razorbacks as a defensive end. He lettered in 1968 and 1969. “I played some; I practiced a whole lot more,” Hopper joked. Hopper married his wife, Gloria, on Dec. 21, 1969, during his senior year at the UA. She was student-teaching for Rogers Public Schools, and he was on track to graduate the following spring with a degree in civil engineering. In search of a job, he found one at Crafton Tull and Associates. The two principals were also UA graduates who had worked for the Arkansas State Highway and Transportation Department before deciding to start their own civil engineering business in Northwest Arkansas. Crafton, now chairman of the Arkansas Higher Education Coordinating Board, said Hopper possessed a tireless work ethic and demonstrated a keen interest in doing things the right way. During his career, Hopper was involved in the design and construction of numerous land development projects, ranging from single-family subdivisions and commercial design, industrial sites and multifamily projects. One of the most notable was Holiday Island, a 5,000-acre planned community off Table Rock Lake in Carroll County near the Missouri border. When Crafton Tull was hired by McCullough Oil Corp. in the 1970s to develop the property, including a marina, retail center, city streets and a water and sewer system for homes and municipal buildings, Hopper was chosen as the lead engineer. Hopper also had a strong business relationship with Lindsey Management Co., owned by his longtime friend, Fayetteville real estate developer Jim Lindsey. Hopper developed site and civil engineering plans for many of Lindsey’s apartment communities throughout the central U.S.
For nearly 47 years, Hopper quietly laid the groundwork for Northwest Arkansas’ current and future business success. His peers say he has put together a resume as one of the area’s most significant business and civic leaders. Combined with his efforts as an economic and commercial developer, Hopper has a resume that few in the region can match. In the low-key fashion that has become his style, Hopper plays it all down as simply being part of the job. Several Northwest Arkansas organizations have benefitted from Hopper’s leadership, including the Rogers-Lowell Area Chamber of Commerce board of directors, Rogers Lions Club, Rogers Industrial Development Corp. and the Illinois River Watershed Partnership, a nonprofit founded in 2005 by residents of the watershed and researchers from the University of Arkansas and Oklahoma State University. The group works to protect and improve the quality of the watershed, which flows through Northwest Arkansas and Oklahoma, and Hopper, a longtime board member, is the board president. Hopper is also a Northwest Arkansas Council member, serving on the infrastructure work group. It includes 23 people (not all Northwest Arkansas Council members) who are interested in highways, public transportation, roads, water issues, bike trails, airports and other infrastructure-related work that is occurring or should occur in Northwest Arkansas. Rob Smith, the council’s communications and policy director, said Hopper’s knowledge of all those topics make him an especially valuable member of the group, which meets every few weeks. “Many members have a strong knowledge of multiple focus areas, but I’d submit that no one is as strong as Tom in all those areas,” Smith said. 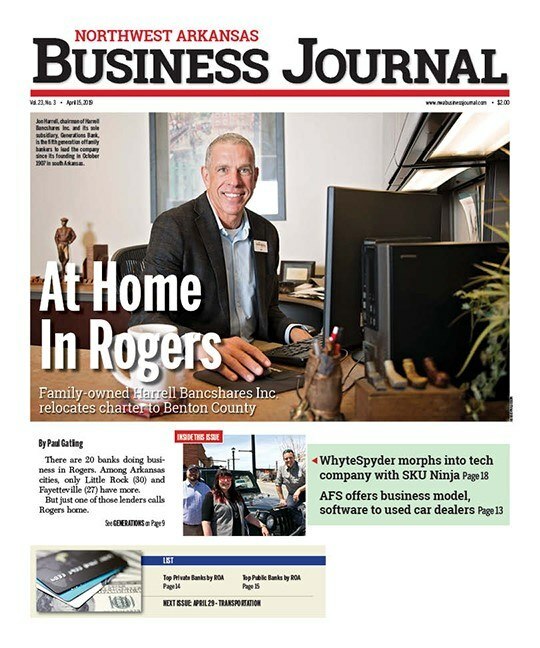 Raymond Burns has been executive director of the Rogers-Lowell Chamber since April 1987, and from his first day on the job, he said Hopper has been his “go-to” guy for numerous economic development projects. His first project was a medical office building in Bentonville, partnering with Lem Tull and real estate executive Jack McHaney to build a 10,500-sqare-foot building in the Hidden Springs area of Bentonville, at the intersection of North Walton Boulevard and North A Street. Hopper also made shrewd land investments in the early 1990s that led to the development of the 120-acre Scottsdale Center shopping center in Rogers – which drew the first stadium-seating movie theater in Northwest Arkansas – as well as the sprawling residential subdivisions surrounding Pinnacle Country Club. In 2001, Hopper told the Northwest Arkansas Business Journal that Scottsdale Center, a hub for retail and dining that he still owns, had grown to become a $50 million project. Just a few years later, it had grown so much he couldn’t put a price tag on it. When asked what advice he would give a young developer hoping to cash in on Northwest Arkansas’ growth, Hopper was to the point. Bob Crafton said Hopper’s most enduring legacy to the company can’t be measured in roads, subdivisions or buildings. It’s the example of hard work he’s set for the younger generation of Crafton Tull employees. Hopper said his message to that generation is to continue holding the company values in high regard – integrity, quality work and caring about clients. As he sets out to explore the wonders of retirement, Hopper said he has no grand plan of what he will do next. He said he doesn’t have very many specific hobbies, although he does enjoy fishing, and takes trips to Canada “once in a while” to do so. He will still be involved in some personal development projects, and unlike many community leaders who may retire and move on to other places, Hopper says he will remain in his Rogers home. Those who have known him the longest are predicting how Hopper will adjust to the slower pace. “He will still be behind the scenes,” Burns said. “Still working with us, still developing and, I’m sure, lending a guiding hand to Crafton Tull. He will continue to influence the company, just as he will the community and the region. Tom and Gloria Hopper, who retired from the Rogers School District in 2000, was named to the Rogers Educator Hall of Fame in 2007 and also served as a Rogers School Board member, recently celebrated their 47th wedding anniversary. Their three sons – including Clint Hopper, vice president of information technology at Crafton Tull – have given them nine grandchildren.